Discover why Canada is known as the 'Land of Maple Trees' on this 11-day rail journey through the country's heartland. Explore fascinating cities, rich with history, amidst a beautiful backdrop. Train along The St. Lawrence River which connects the Great Lakes to the Atlantic Ocean. 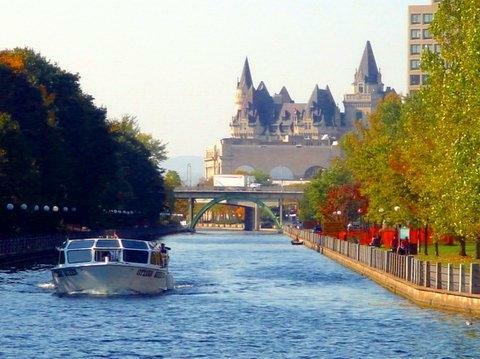 From Toronto to Quebec City, and many points in between, this is the best of Eastern Canada. Arrive into Toronto late afternoon. 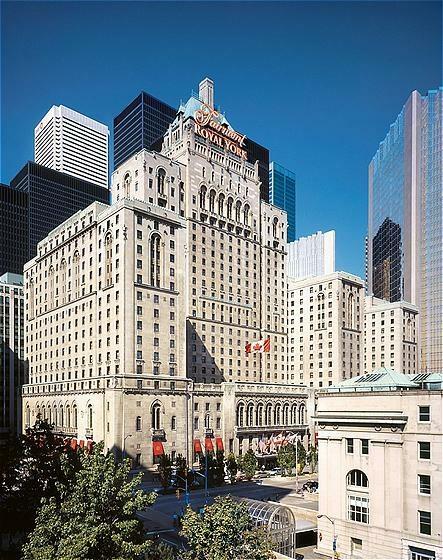 Transfer on your own to the deluxe Fairmont Royal York for three nights. 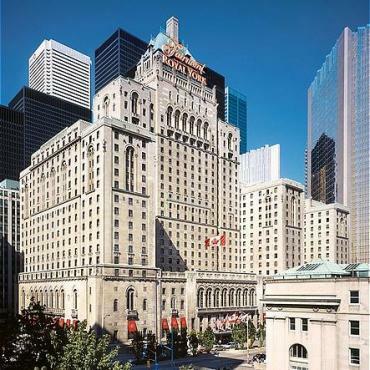 Steeped in history, this hotel is set in the very heart of the city and walking distance to Toronto's major attractions including the CN Tower. When the feet can walk no more, head back to your hotel and enjoy the indoor pool, sauna and steam room. 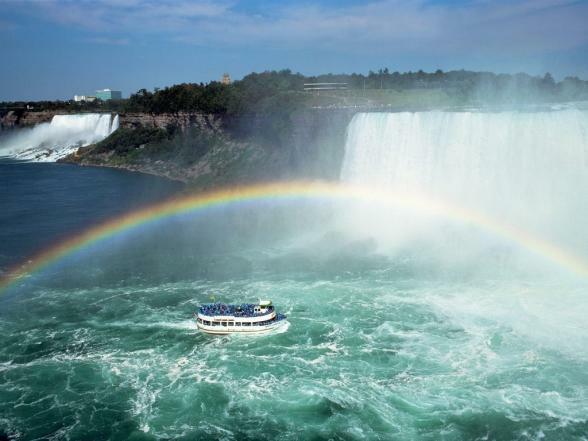 Enjoy a full day excursion by coach to world famous Niagara Falls. Pass through the picturesque wine region of the Niagara Peninsula before enjoying free time at the falls. 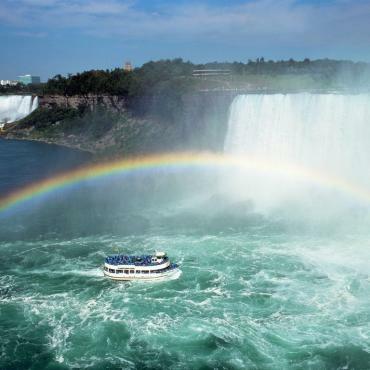 For a unique view of the spectacular Horseshoe Falls, a boat ride is included after lunch. On the way back to Toronto, journey along the beautiful Niagara Parkway and Niagara-on-the-Lake, voted “Canada’s Prettiest Town”. If you fancy an adrenaline buzz, ask about our new Mist Rider Zipline excursion to Niagara Falls. 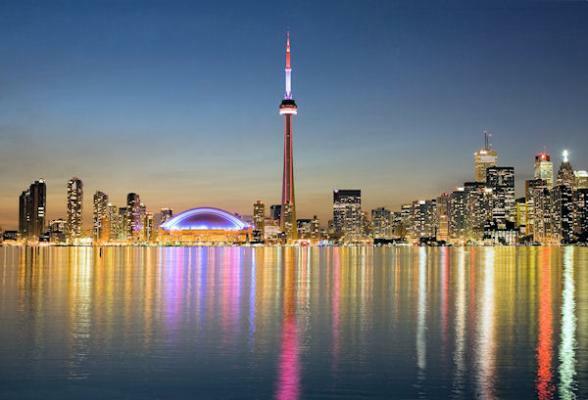 Start your day with a city tour of Toronto, then spend your afternoon at leisure exploring what takes your fancy. 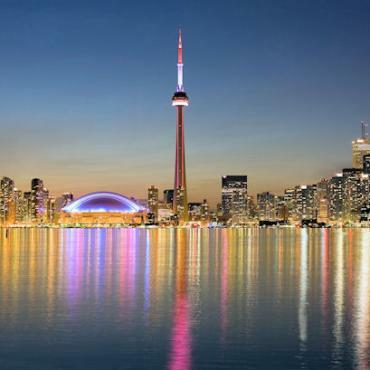 A must, is a trip to the top of CN Tower, the world's tallest free-standing structure with unparalleled views of the city and outlying area. Be sure to visit Eaton Centre for shopping and dining, Chinatown, Old Town Toronto, or delve into the city's many fascinating ethnic markets. By night, Toronto is well-known for gourmet dining and a lively local music scene. 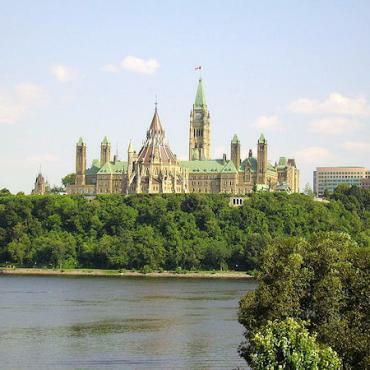 Board VIA Rail's Business Class service to Ottawa, capital city of Canada. Transfer on your own for a two-night stay at Fairmont Chateau Laurier. 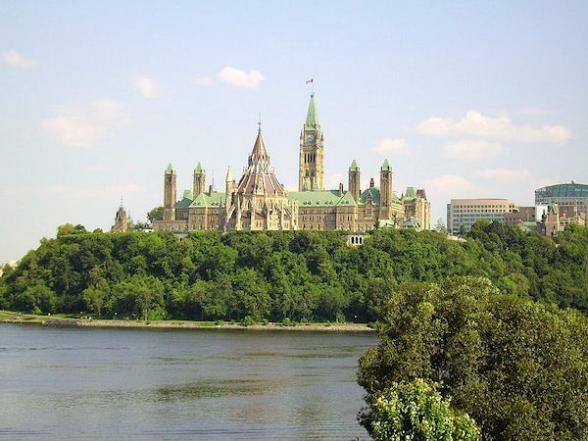 This magnificent limestone landmark is next door to the Parliament Buildings and along the Rideau Canal. 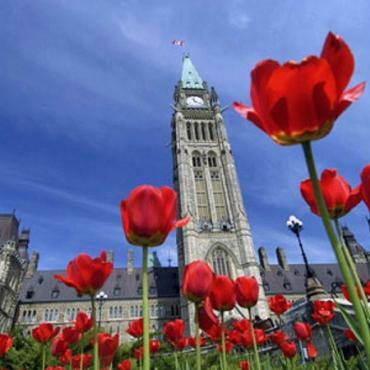 This morning take a guided tour of the nation's capital including Canada's Parliament Buildings, the Embassies, the Prime Minister's residence and Rideau Falls. 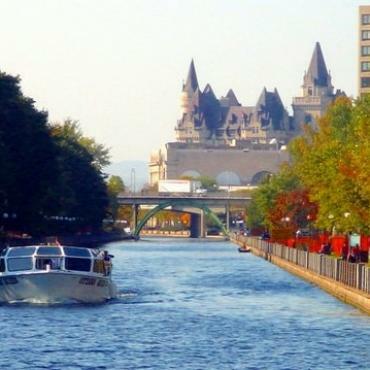 The remainder of the day is free to explore the National Arts Centre, visit Byward Market or hire a bike and enjoy a gentle ride along the canal. Be sure to head for lively Elgin Street tonight and dine in one of the many fine restaurants. 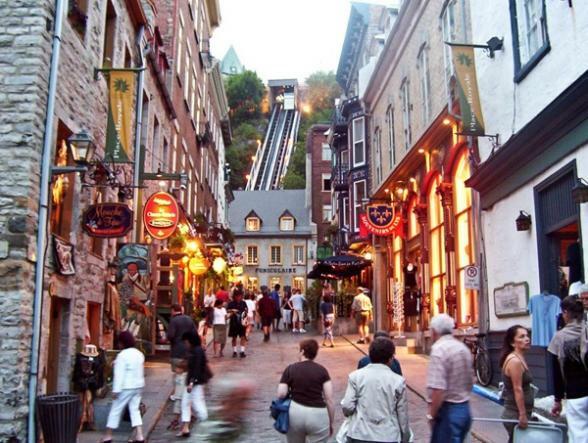 Travel VIA Rail Business Class service to Montreal, Canada's most cosmopolitan city. The elegant Marriott Chateau Champlain is your home for two nights. 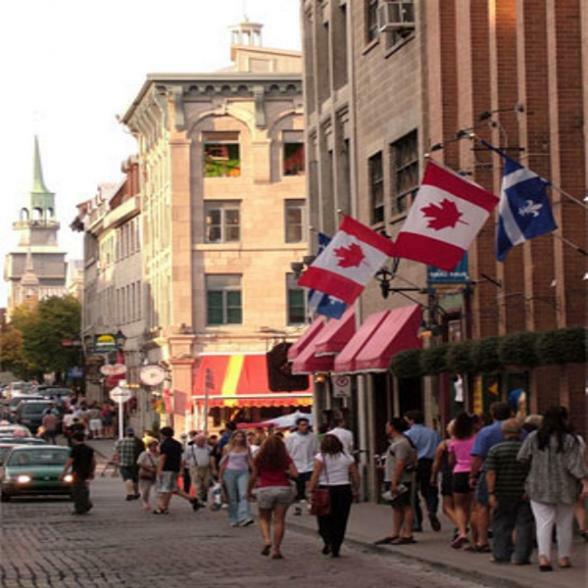 Just a short stroll to Old Montreal and shopping on St. Catherine's Street, you'll have time to explore Old Montreal before enjoying a leisurely evening meal - may we suggest one of Montréal’s best dining experiences right in your hotel, restaurant Samuel De Champlain. Set off on a morning city tour of Montreal, Canada’s second largest city. Montreal is an interesting mix of old and new. A savvy city, full of chic shopping, world-class restaurants and exciting nightlife with a glimpse of the city's history around every bend. 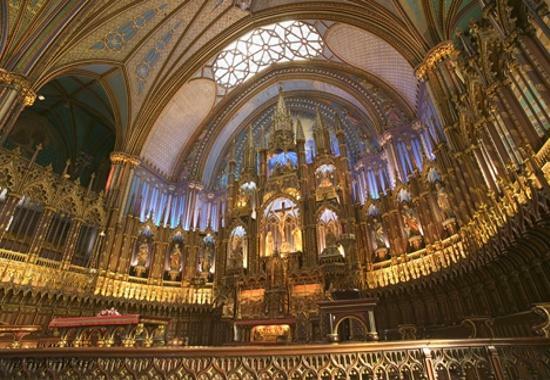 Canada's 'Cultural Capital' is home to legendary sites like the gorgeous Notre Dame Basilica, the famous Olympic Complex and Mount Royal Park. The afternoon is free to explore the nooks and crannies of Old Town Montreal. An early morning VIA Rail departure from Montreal follows the St. Lawrence River to the Ancient Capital, Quebec City. 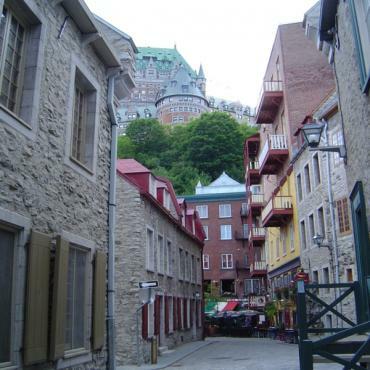 The only walled city in North America, Quebec City is in a word - charming. Spend three days admiring the architecture and uncovering history, which can be found down every cobblestone lane. 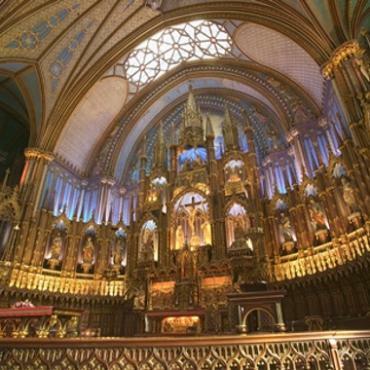 Visit famed sites like the Latin Quarter, the Place Royale and the Basilica. Your home for three nights is the famous Fairmont Chateau Frontenac. Ideally located inside the walls of Old Quebec, this iconic Fairmont is one of the world’s leading hotels. You'll be mesmerised by the breathtaking views of the St. Lawrence River and the architecture of the Old fortified City, designated a UNESCO World Heritage Site. Start the day with a tour of this charming historic city. 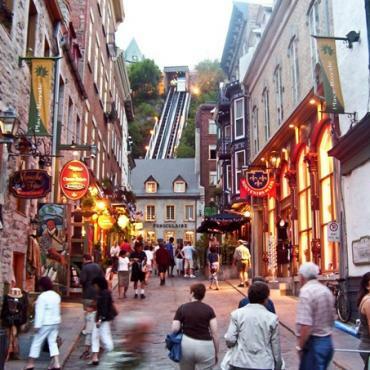 Then explore Quebec City at leisure. 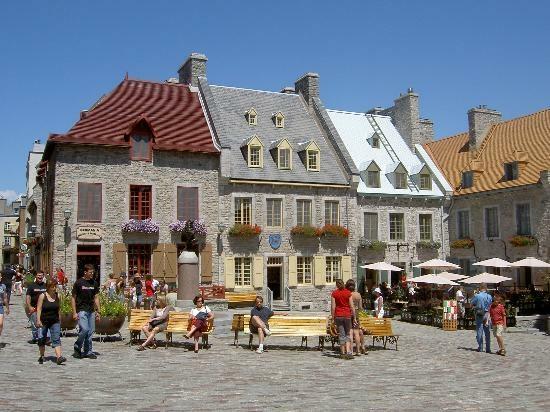 Discover the charm of this walled city, the cradle of French culture in North America. 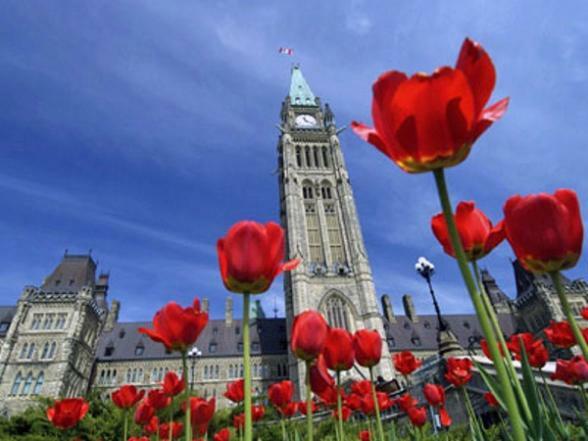 Walk the Plains of Abraham where the fate of North America was decided in 1759. 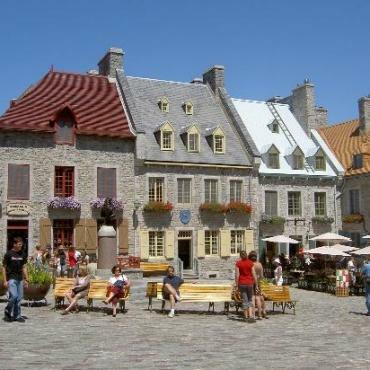 Enjoy sidewalk cafes and outdoor displays by Quebec artists, all set among 400 years of history. Enjoy a morning at leisure before your flight back to the UK. However, you may decide to extend your stay and include a city trip to New York or Boston. Call the USA and Canada experts at Bon Voyage to discuss your ideal Maple Explorer Plus Niagara Falls - Luxury Rail Adventure.